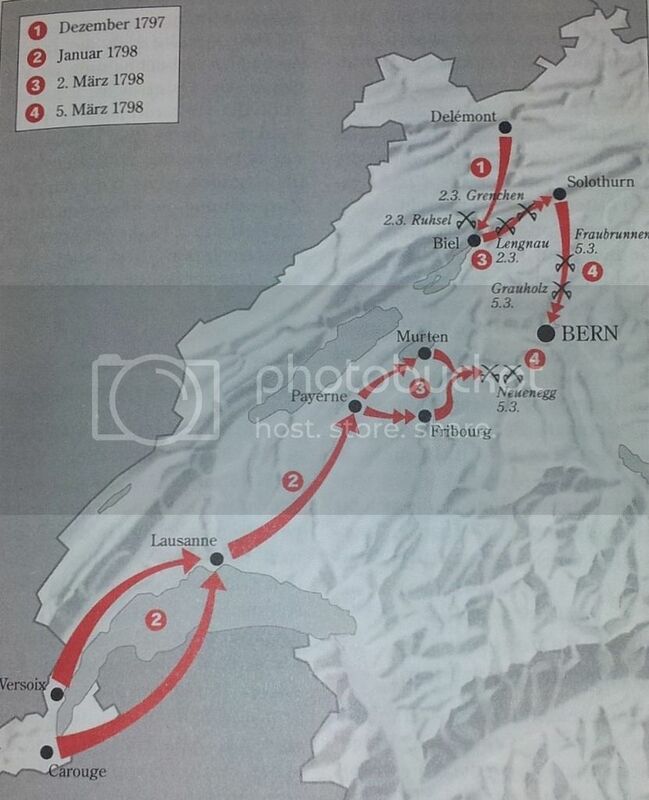 So in 1798 when french and bernese troops have been marching through the areas mentioned above, they must have met a lot of these typical farmhouses and most probably have made their bivouacs inside or around them. For my Sharp Practice 2 games of the events of 1798 in Switzerland I want to model a Bernese farmhouse. 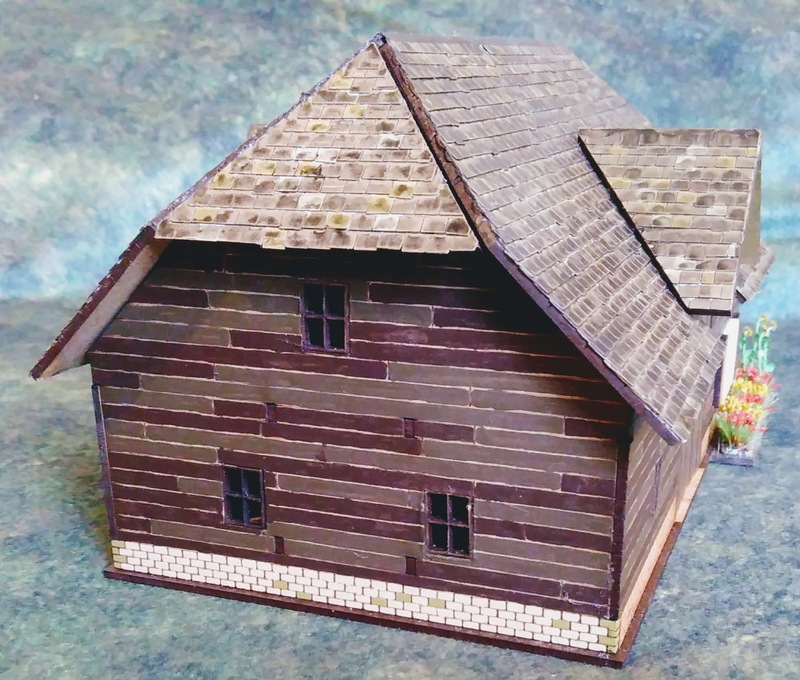 The Sarissa model "Barn/Stables" of their "English timber framed" series serves as the base for my future farmhouse because its layout and style of roof are rather close to the Bernese farmhouse style of the time. The model parts are laser cut from 2mm MDF and thus seperate very easily from their sheets. 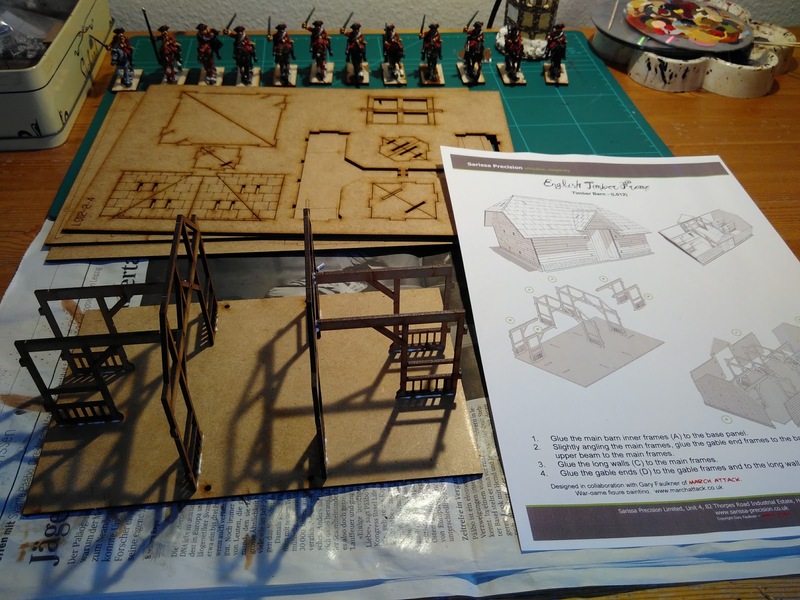 Included is a well structured and illustrated leaflet with instructions how to assemble the parts. 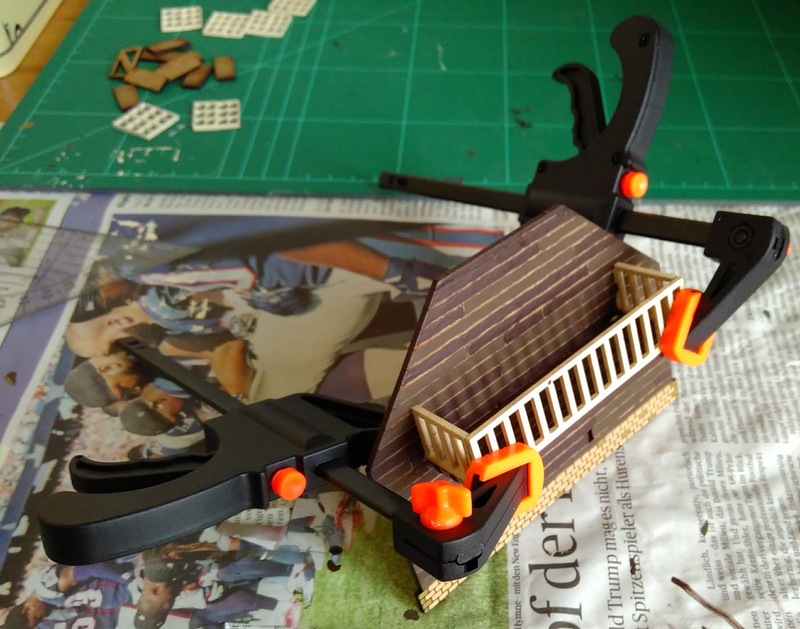 Assembling is straightforward, even if you are no expert modeller, even more because the model parts perfectly fit one to another. 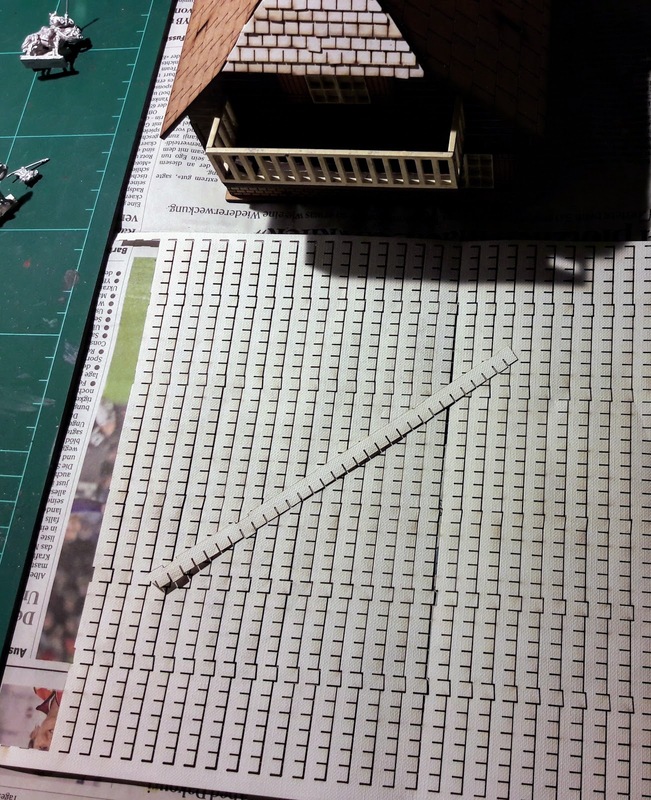 By applying some drops of white glue and some patience when drying, the assembling of the model building is a children's game. 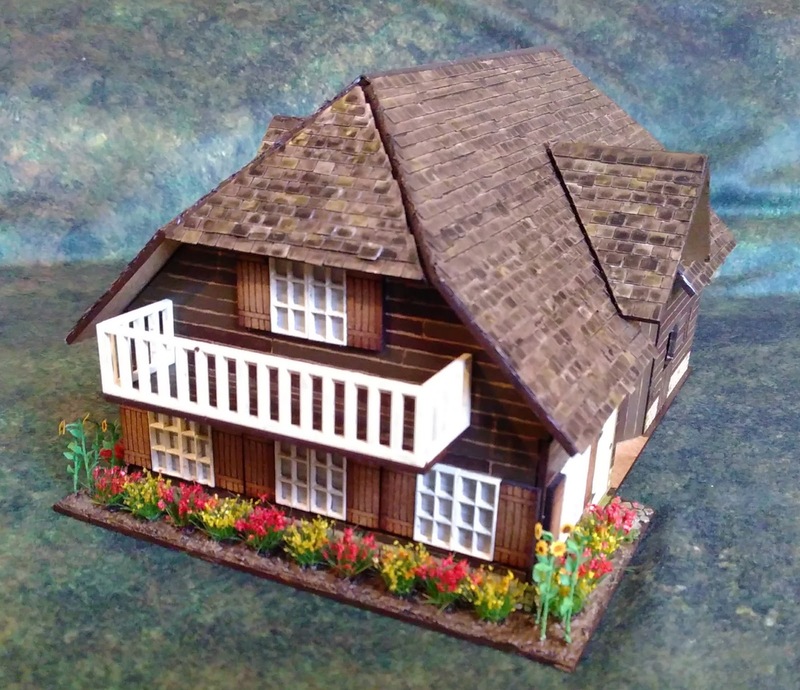 Now I did not want to build an English barn but a Bernese (Swiss) farmhouse of the 18th century. 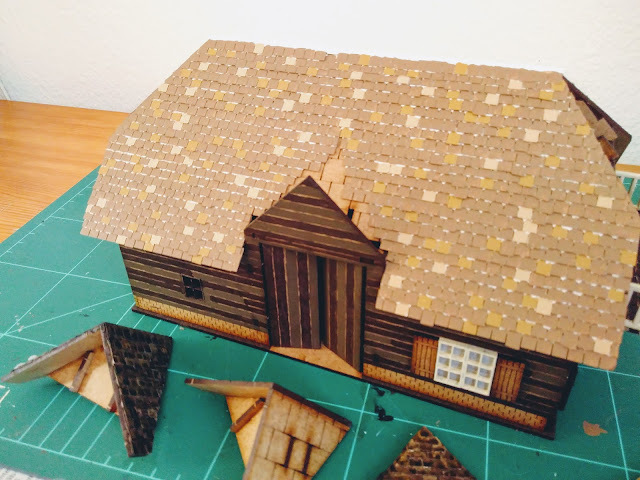 Typically at this time - and still today - one part of the building served as the living quarters for the family, while the stables were located at the other end and the central part and attic served as a barn to store hay and tools, etc. After having glued the building's innner frame on the base plate, I started with the conversion of the existing materials: First, I painted the outer walls and then I used several "from scratch" parts from Warbases to add doors, windows, shutters and a small balcony to customize and enhance the model building. Concerning windows, I did not want to let them open like gaping holes, so I had to find a way to add "glass panes" to the window frames. 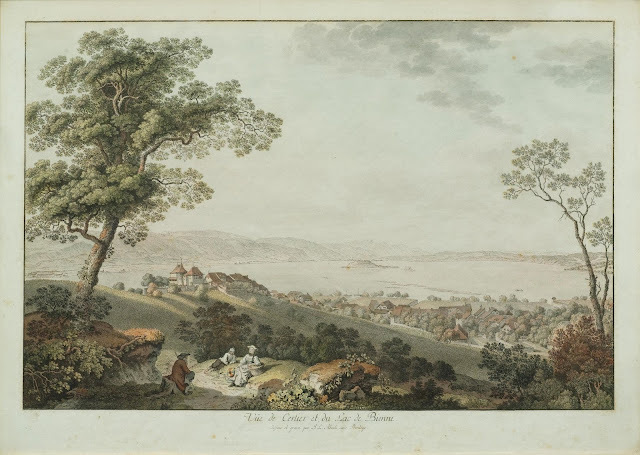 It is also a fact that you cannot see into a dark room from a bright space outside, and in 1798 the rooms inside a farmhouse usually were scantily lighted. 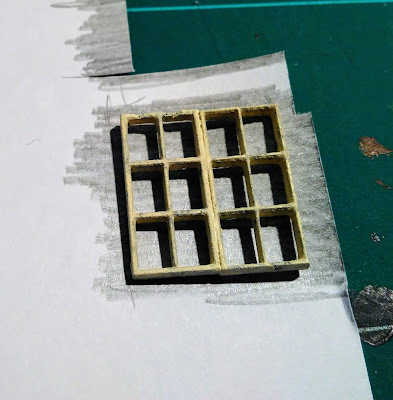 After a few unsatisfactory attempts the following method gave the result I had been looking for: With a soft leaded pencil I shaded a piece of white paper, and then glued it to the window frame. 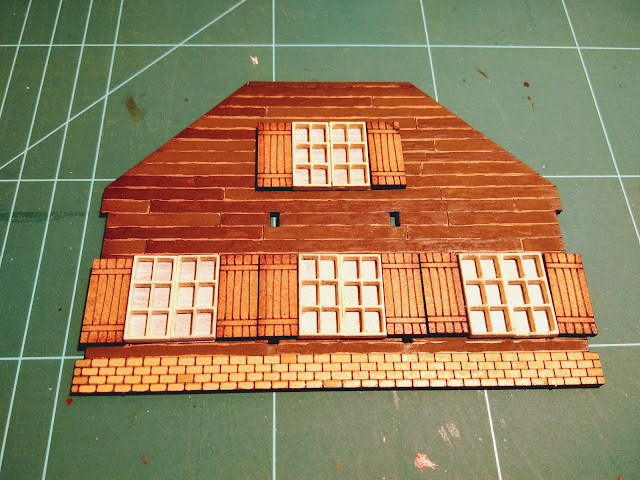 The window frames and shutters were glued directly onto the outer walls of the model building. 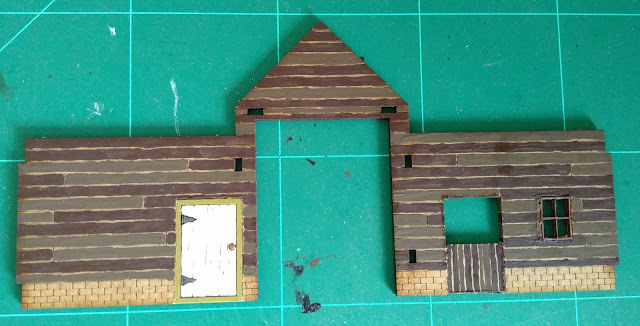 Initially I thought about cutting openings for the window frames, but the shutters being relatively thick the frame / shutter combination looked much better when both parts were applied at the same level. This latter method also saved me a lot of work. In addition to the model's large barn doors I have added separate doors for the living quarters and for the stable. 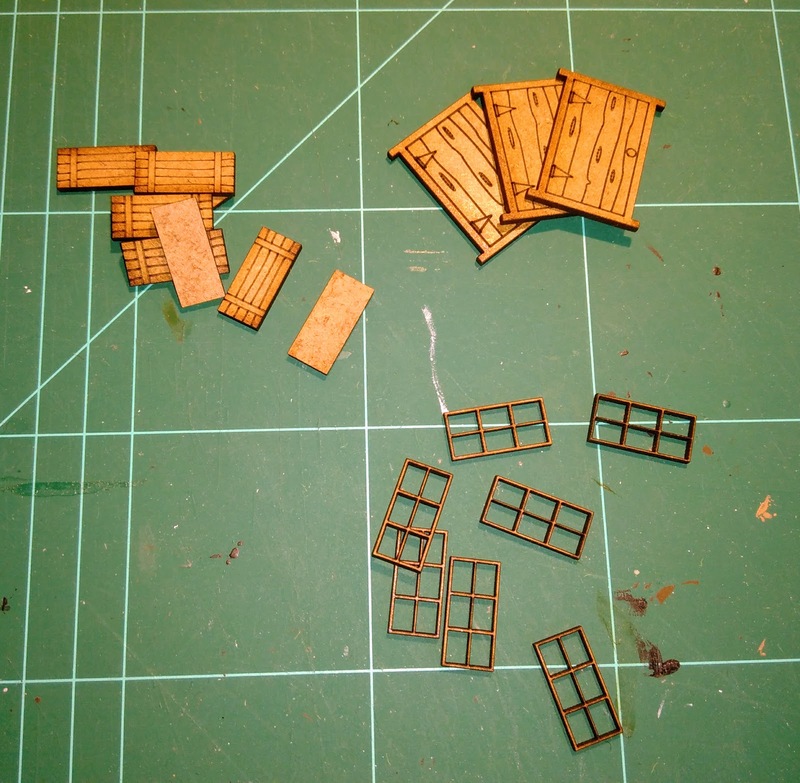 These have been inserted in the outer wall by cutting fitting openings and glueing the doors in place. I have used the same method for the barn and stable windows which have got neither shutters nor pane. Many of the typical Bernese farmhouses have some kind of balcony or walkway called "Laube". 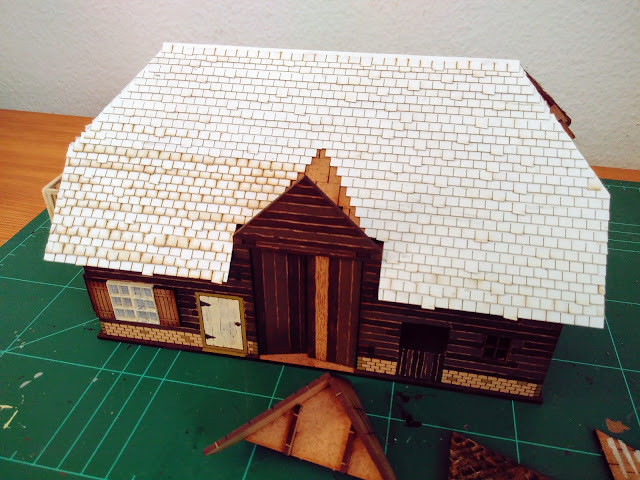 I wanted my model farmhouse to have such a "Laube" to give it its pivotal touch. 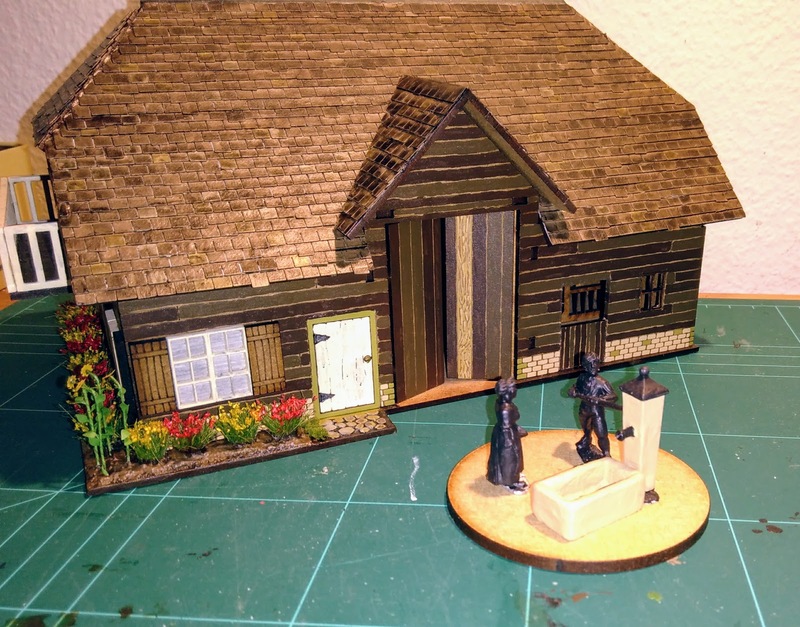 Again using Warbases' "from scratch" parts, I glued a small balcony to the front wall of the living quarters. 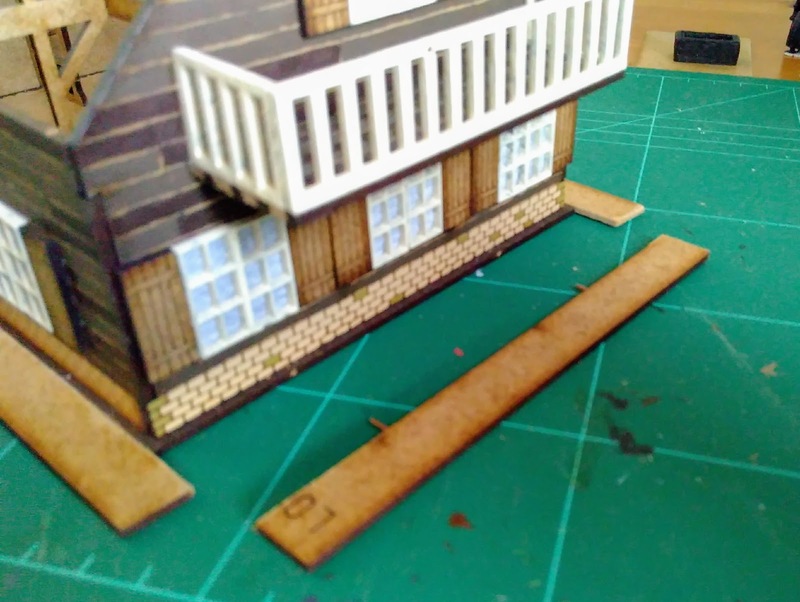 On it there is room for placing two or three of my 28mm miniature civilians or soldiers - and I wonder if there once will be a game where this balcony will play a prominent role? the fitting of the balcony called "Laube"
The original roof parts are laser edged to simulate some kind of tiling. 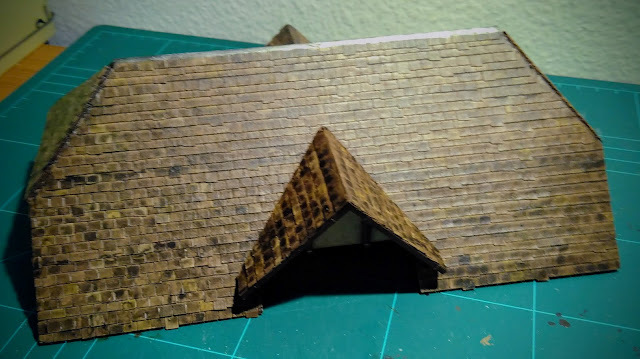 To enhance it, I have used Warbases' tiling sheets to get a nice shingle roof look. 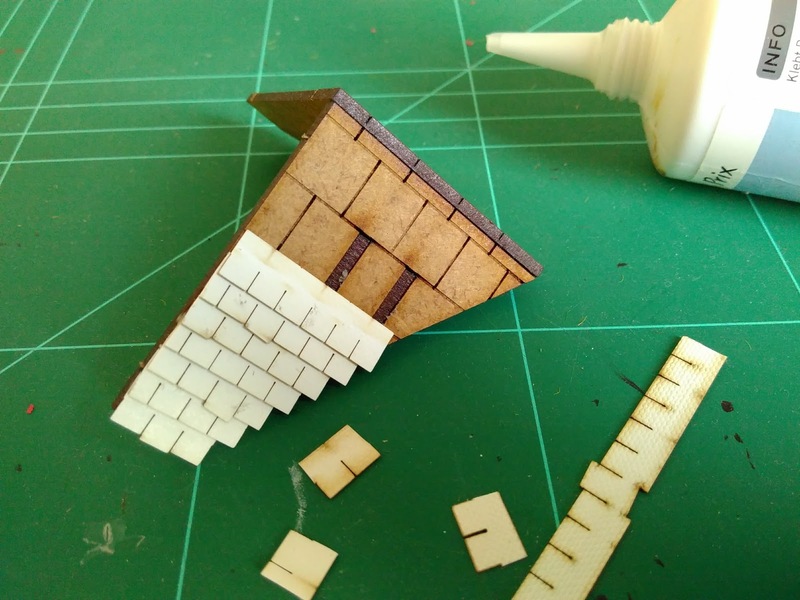 In this process you have to glue in place small overlapping strips of paper tiles. This is no big deal but covering the whole large roof area strip by strip is a laborious task.. The shingles were then one by one painted in one base colour and two secondary colours to add for an irregular look. As a finish I have applied lots of Citadel Nuln Oil to give it a dark and weathered look. Most of the farmhouses I know have a vegetable and flowers garden nearby. To limit the overall dimension of the model I decided to separate the flower garden from the vegetables garden and add a flower bed outside the living quarter of the house. Spare parts of the MDF sheet were cut to size and then pinned and glued it in place. 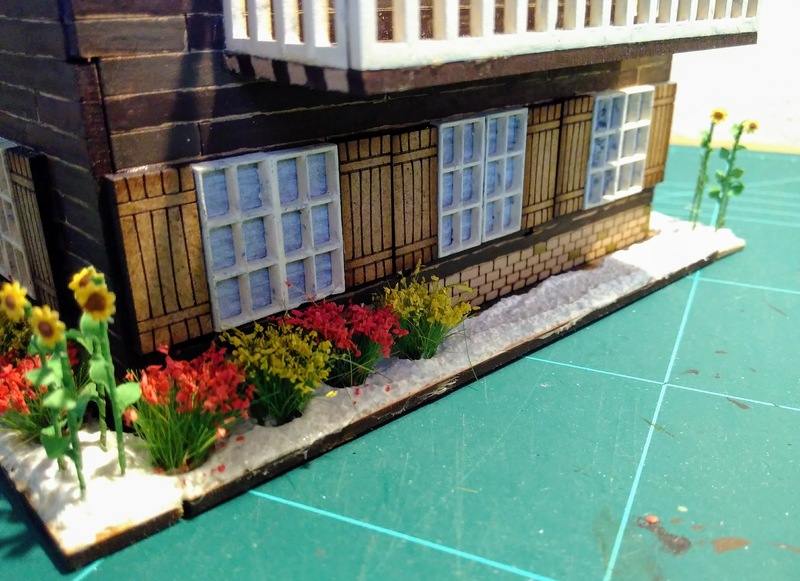 The next step is adding modeling clay and inserting flowers from the railway model shop. 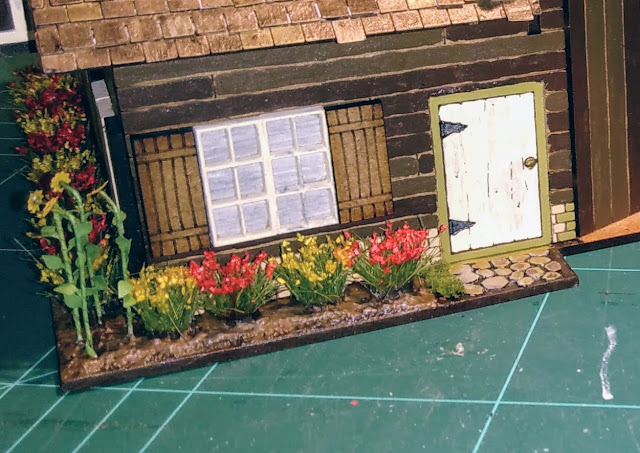 Reinforcing the flowers with diluted white glue and painting the ground makes the flower bed look rather nicely. A typical Bernese farmhouse is not only surrounded by fields and meadows but has also got a large vegetable garden. 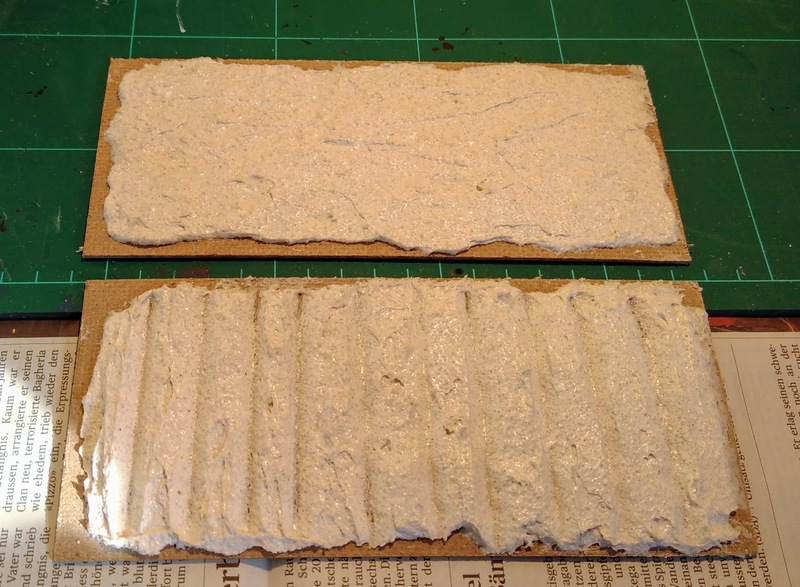 To model such a garden I simply cut to shape two pieces of MDF and put on a layer of modeling clay. One piece is representing fallow land without crops the other is a vegetable patch with rows of greens. 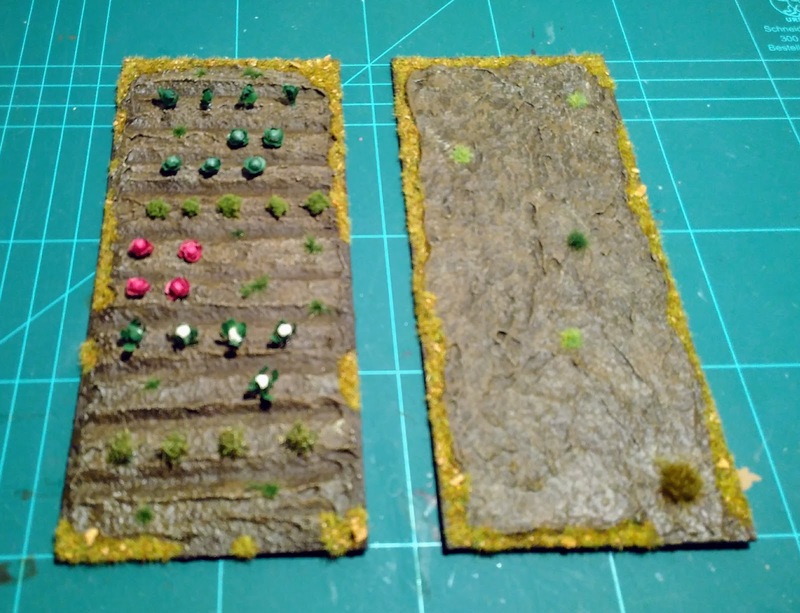 For the vegetable patch I have applied a thick layer of modeling clay and then "combed" it with a piece of cardboard where I had cut a saw-toothed egde before. Once the modeling clay had dried I painted it in the well-tried method of basecoat plus two highlights, then added a mixture of static grass to the edges plus the odd tuft here and there making it look like patches of weeds. 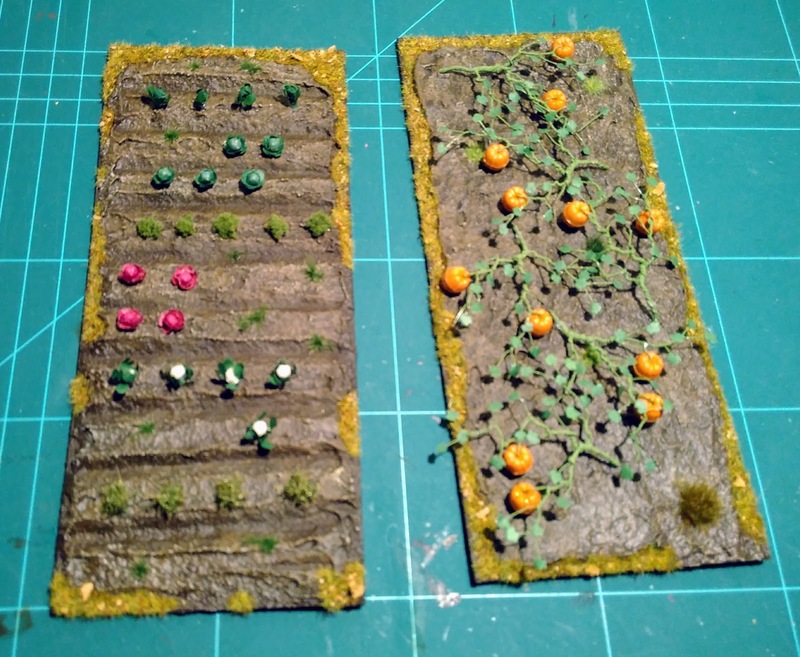 The pumpkins are from Model Scenery Supplies and they look really nicely. They are placed loosely on the patch and can be removed to have an empty patch again. 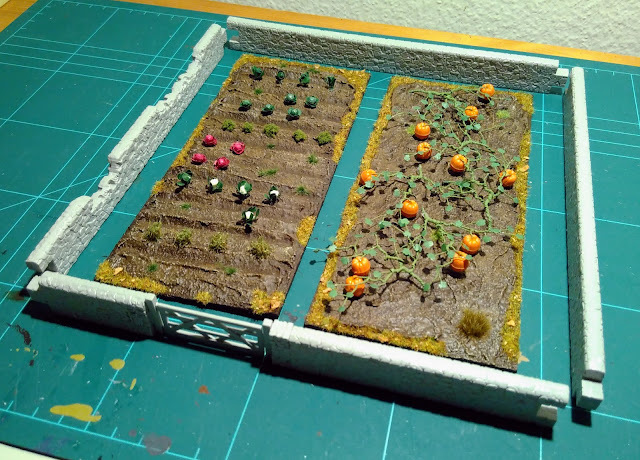 The following steps towards a full scale model farm are ready on the workbench: The vegetable garden will get a surrounding stone wall as an option, which is looking great and makes the garden into some kind of stronghold on the battlefield. 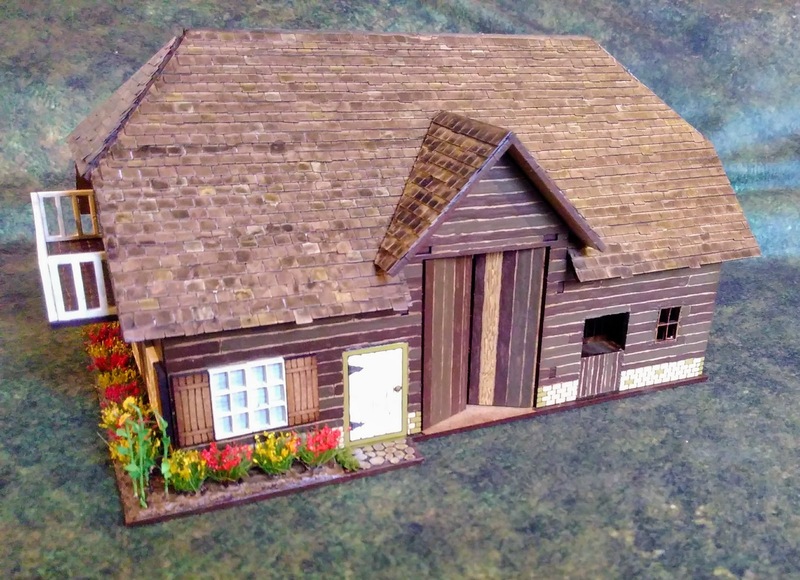 I'm looking forward having the farmhouse on the gaming board!